The latest computer technology is used to generate CAD drawings so you can see what your ideas actually look like. Photo Renderings of your actual store front, building or home so you can see what your awning or canopy will look like on your property. We understand that our awnings and canopies are multi purpose. 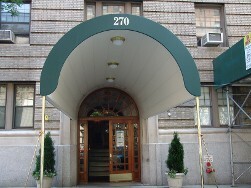 Awnings and Canopies beautify your property, draw attention when needed and give protection from the weather. Our designs meet this criteria. We design and manufacture all of our awnings under one roof. Our state of the art factory and production staff assures the quality you expect in your awning and canopy. Quality control means years of trouble free service from our products. 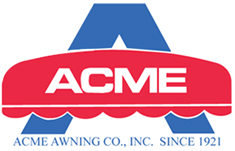 Our courteous and professional installation crews have years of experience installing awnings and canopies. 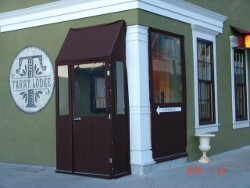 Each installation requires attention to detail that only a custom awnings and canopy can provide. State of the art equipment enables our crews to do the quality installation you expect with the least disturbance to you and your property. We utilize State of the Art computer technology in our graphics department. Our computers, software and production equipment are constantly updated to provide our clients the most up to date technology and products available. 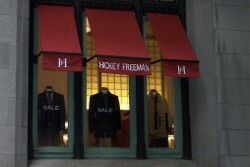 Our awnings and canopies are the first thing your visitors see when they approach your property. We can reproduce your logo or any custom design. We can match your graphics colors or reproduce any image you have. 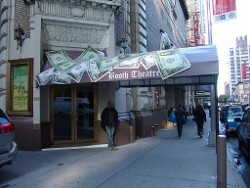 We provide scale drawings for all artwork being produced on our awnings and canopies. Photo renderings show how the finished product will look on your property.